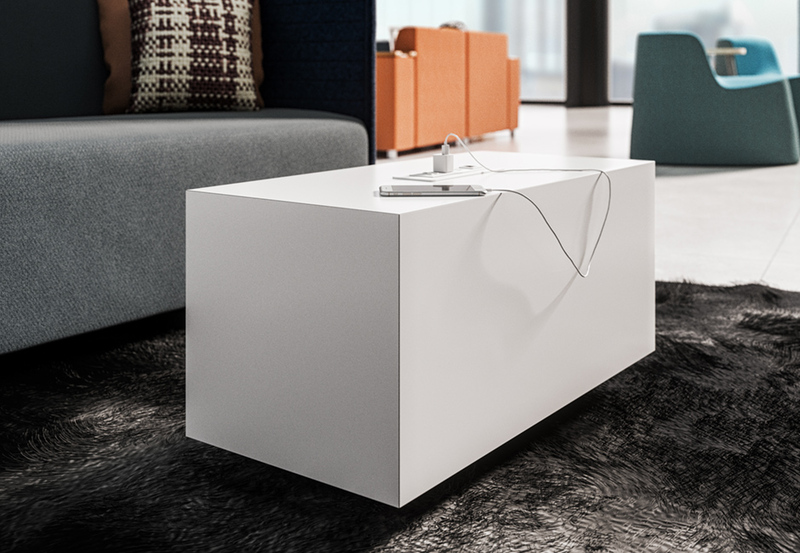 Alert: All textiles must be pre-approved for model 37004 due to length and solid appearance..
**Please note that this corner unit is designed to have upholstery units connected on either side. **It is not intended to be used as an end run to a love seat or sofa configuration. Carving space for the next generation. 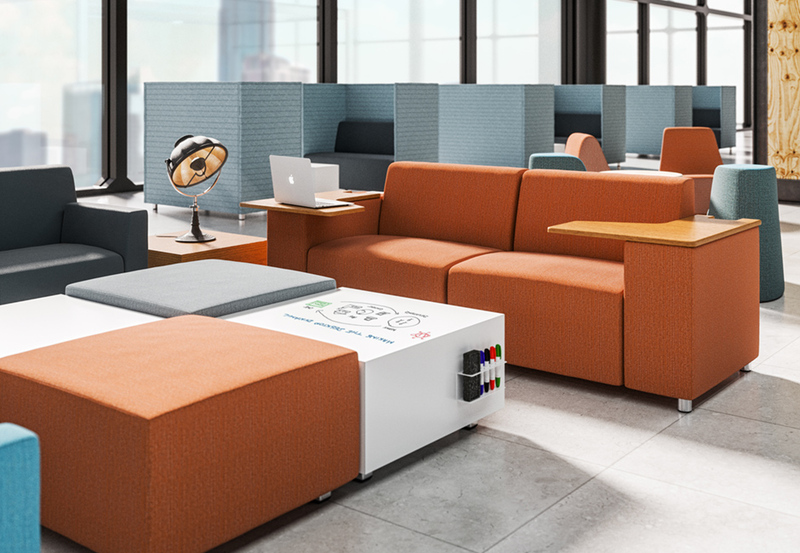 Designed as a simple solution to quickly carve and divide space, h@kr creates energized environments where teamwork, learning and collaboration is the working norm. A thoughtful mix of lightly-scaled components with tech-savvy features allows for easy product maneuvering and instant reconfigurability. 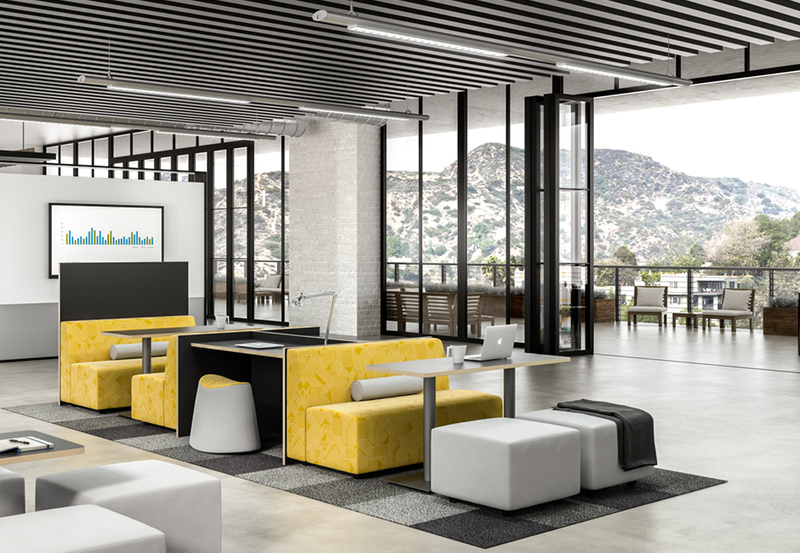 Whether planning a small business start-up or an urban building renewal, h@kr sets the tone for cutting-edge creativity and the next big idea. 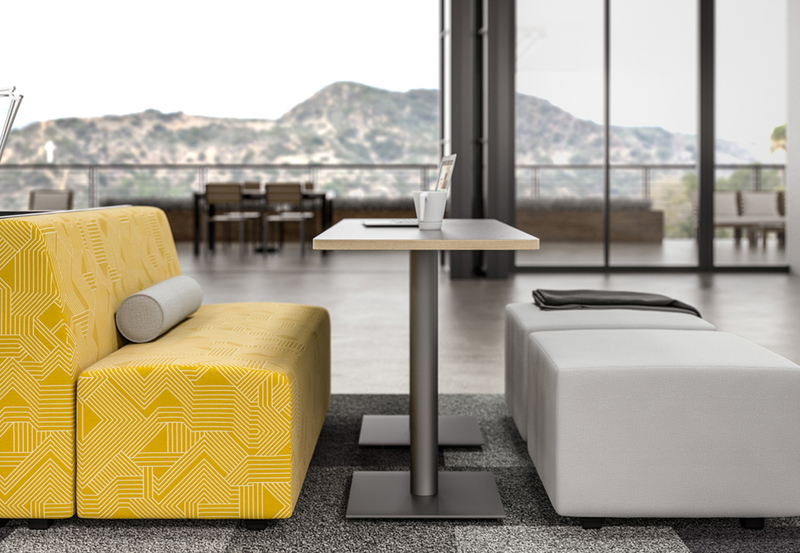 Influenced by the next generation of workers, h@kr reshapes environments for self-expression and rapid-fire collaboration. 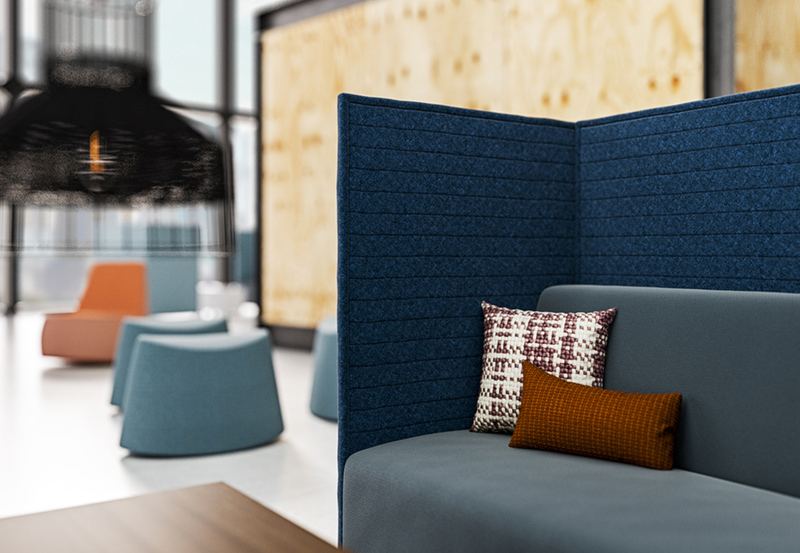 Privacy panels, with optional glassboard, transform spaces into forward-thinking, informal meeting centers. 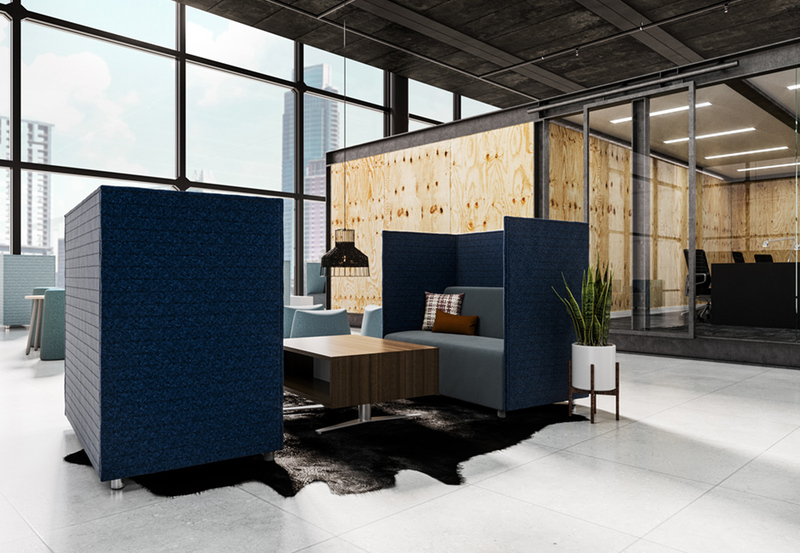 Freestanding divider panels define touchdown enclaves for today’s on-the-go workforce and create visual privacy within open plan spaces. 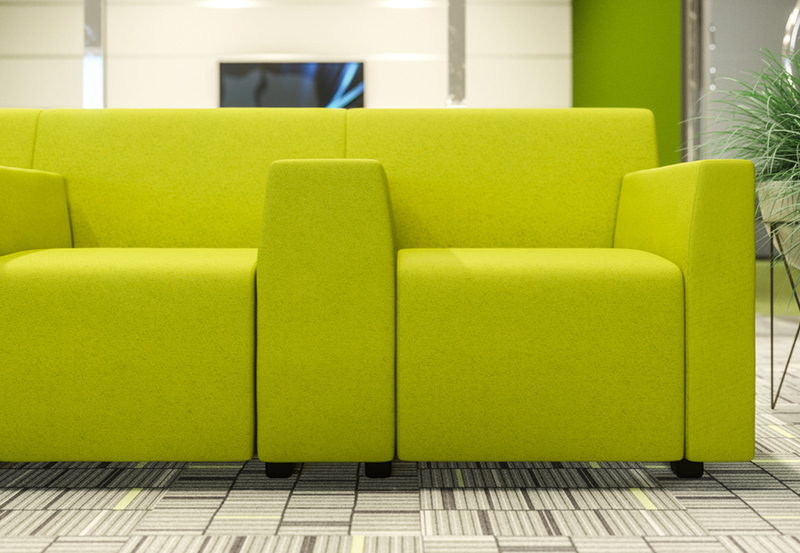 H@kr provides comfortable and functional solutions for common spaces even in the tightest of spaces. 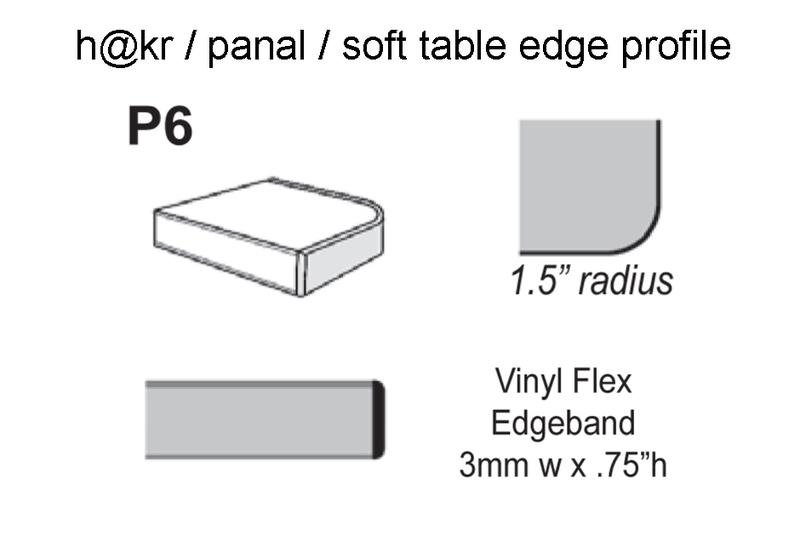 One and two seat components and connecting tables are smartly sized for easy specification. 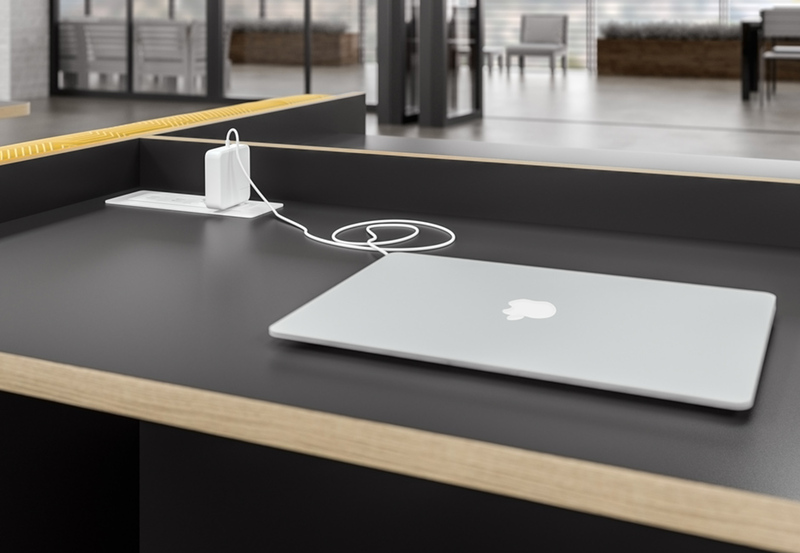 Tables feature optional built-in power centers with USB ports and electrical connectivity. 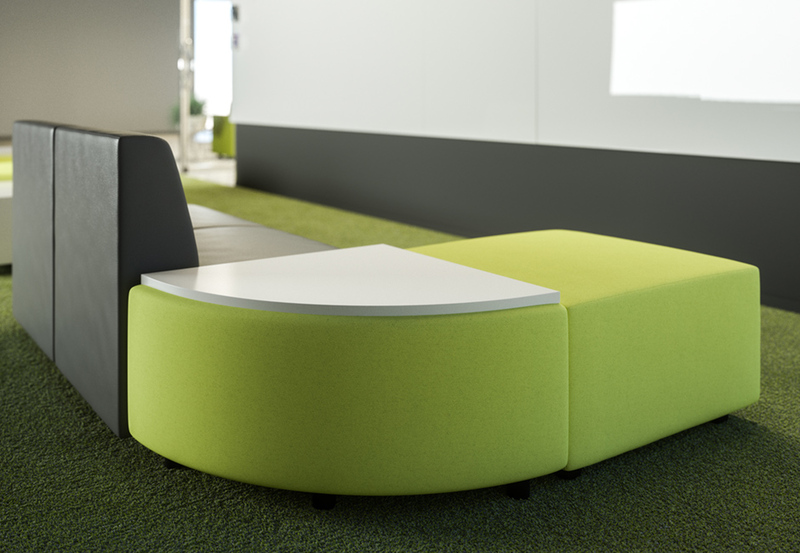 Round and square ottomans provide lightweight movable seating for increased social interaction. 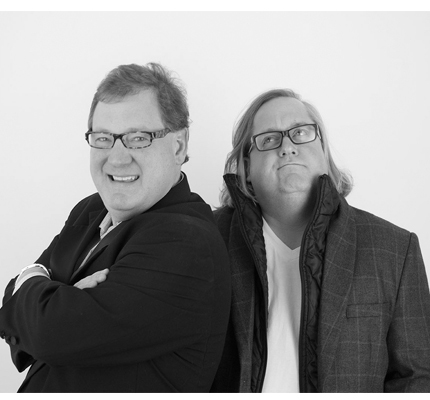 H@kr’s superior construction includes CNC cut furniture grade plywood frames for durability. 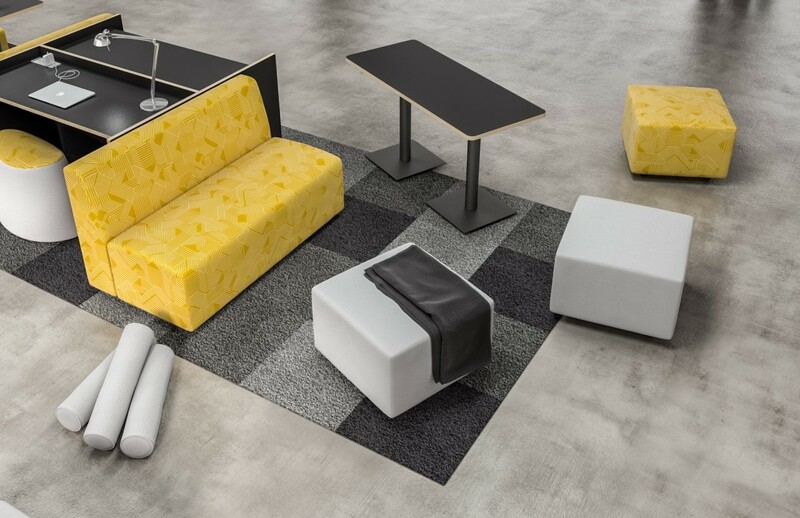 Textiles are hand-tailored over 100% polyurethane foam that meets Cal 117 standards.